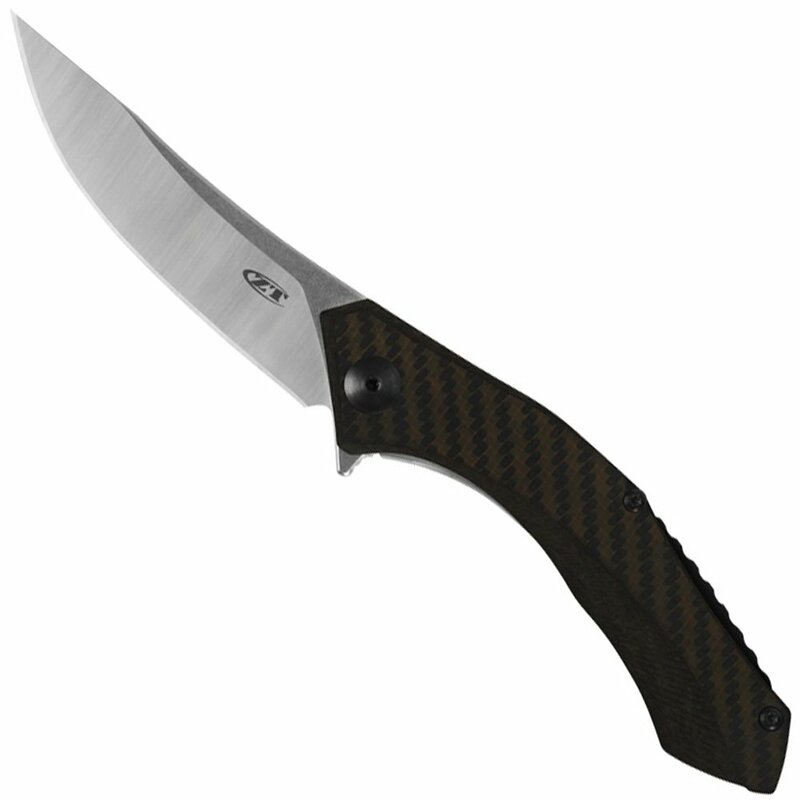 The Zero Tolerance 0450CF, designed by Dmitry Sinkevich, is one of ZT'stop-selling knives. But some knife users have been asking for a littlemore - a little more size, a little more handle curve, a little morecarbon fiber, a little more Sinkevich. ZT's answer? The new 0460. 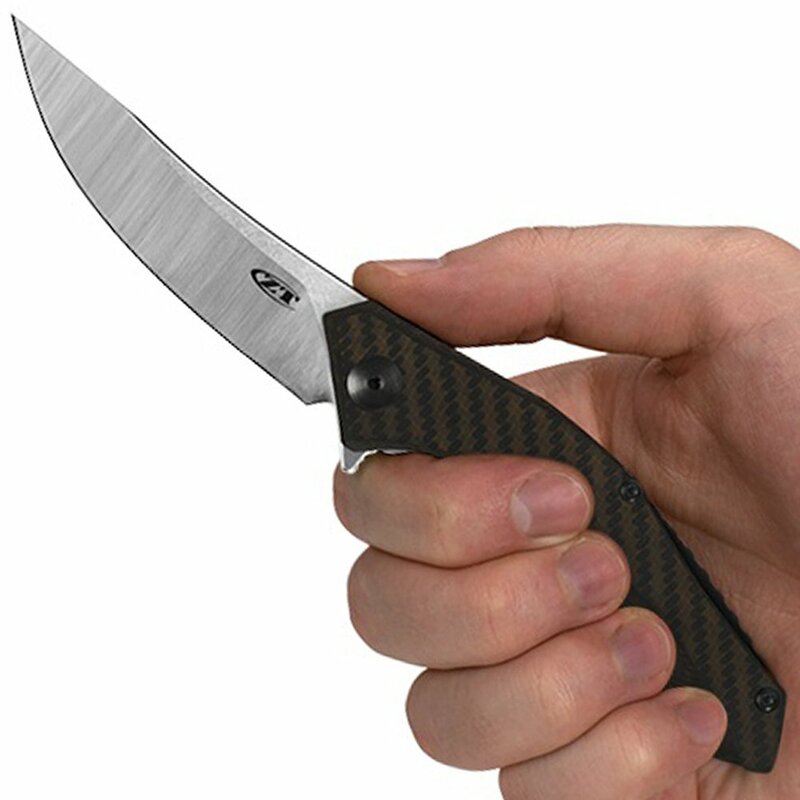 In size, it's slightly larger than the 0450, but not as large as the0452CF. The blade steel is S35VN for enhanced toughness and resistanceto edge chipping with no loss of wear resistance. Rich in niobium,vanadium, and chromium carbides, it enables a sharp, long-lasting edge.For sharp looks, ZT gives the blade a two-tone finish: stonewashed onthe flats and satin on the grinds. Based on Dmitry's Polychotky Jr., the 0460's carbon-fiber-and-titaniumhandle has a pronounced ergonomic curve to fit into the hollow of thehand neatly. The front scale is bronze carbon fiber. This relativelyrecently developed composite material offers the benefits of carbonfiber, but with the ability to colorize the material as well - in the caseof the 0460, the color is an attractive bronze. We partially 3Dmachined the front handle for dimensionality and grip as well. The handle back is titanium with a titanium frame lock and hardenedsteel lockbar insert. A matte black anodized aluminum backspacer adds ahandsome decorative touch. 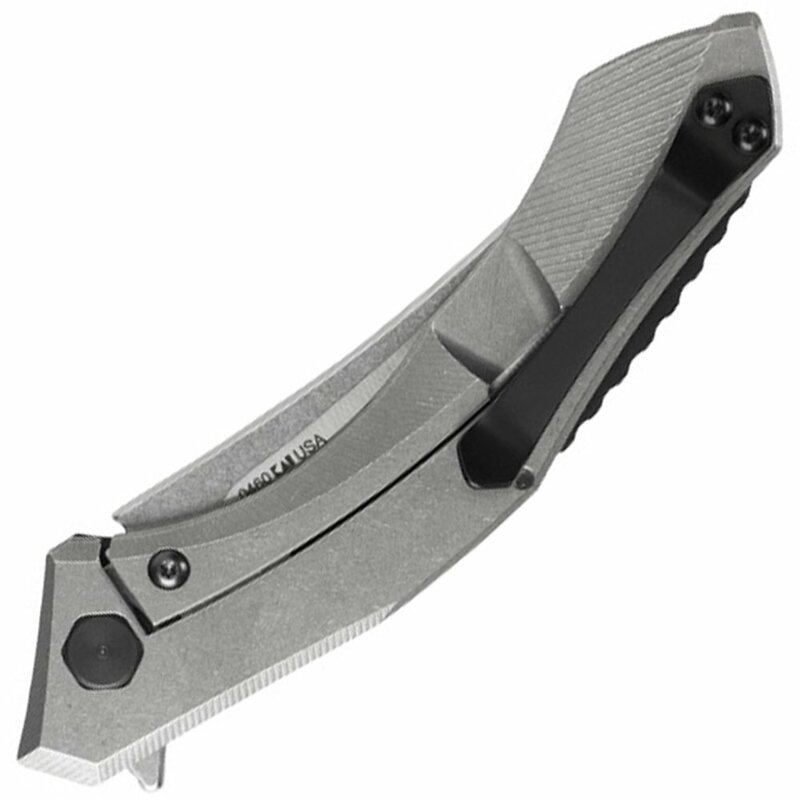 The black Teflon®-coated pocketclip lets youcarry the ZT comfortably every day.